Homemade caramel apple vodka. How delicious does it sound? Everyone has been loving my fall & halloween inspired moonshine recipes, so I’m back with another adult beverage. 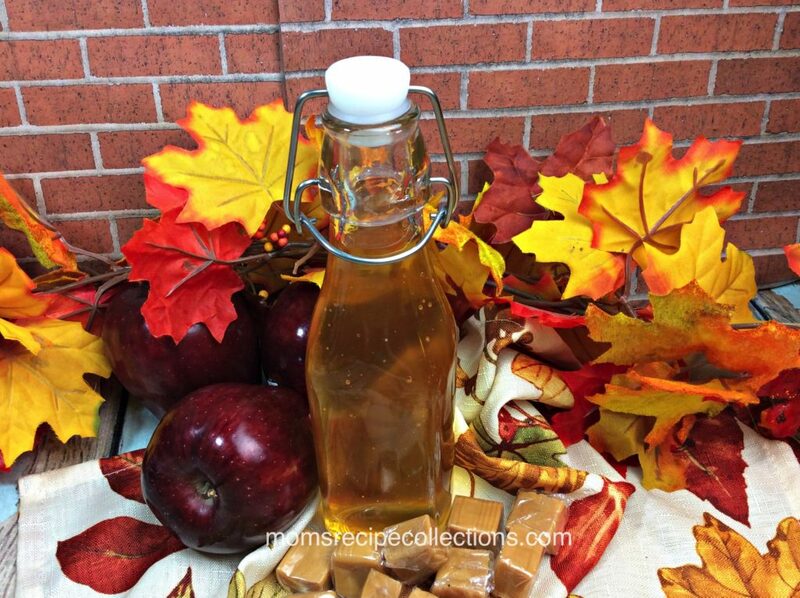 How about some caramel apple vodka folks? You can drink this cold or hot. You can serve it alone, or add a few ounces to a nice glass of hot apple cider. Give it a try! 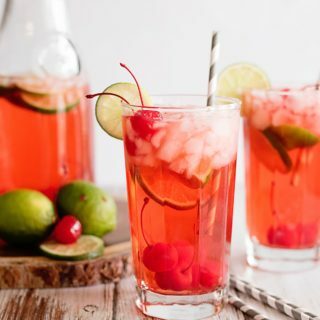 Share this recipe on Pinterest & Facebook! 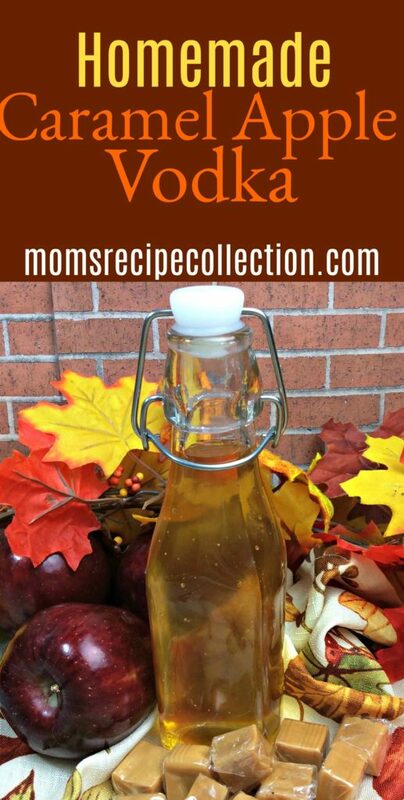 This homemade caramel apple vodka is a great adult drink for the fall season! Peel, core and dice a large apple and put it into a the mason jar. 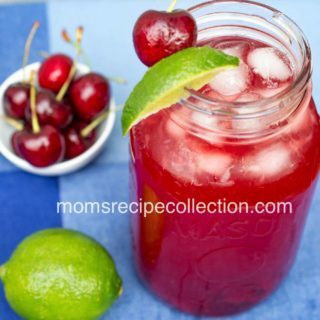 Repeat process for each mason jar. Unwrap your caramel candies and place 10 in each jar. Fill your jar with vodka until 1/2 inch away from the top. Store in a cool place for two weeks. 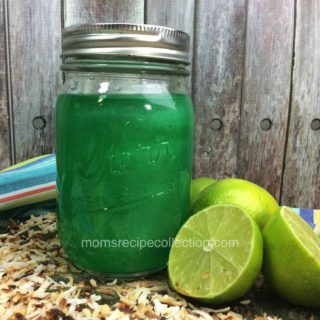 Once you open it and strain the liquor through a cheesecloth into a large pitcher. Throw away the fruit and candy. Pour your liquor back into the mason jars.